The U.S. Department of Agriculture (USDA) is spending nearly $150,000 to test a “mindful eating intervention” on third graders in California. A grant awarded earlier this month outlined the project that will use the methods of a Zen teacher to try to fight childhood obesity and turn kids into “change agents” to teach others how to eat healthily. The project, entitled, “Foodie U: The Impact of a Pilot Mindful Eating Intervention on Food Behaviors Among Children and Families,” will focus on low-income Hispanic children. Mindfulness is a New Age meditation technique that traces its origins from Buddhism. 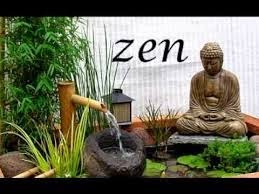 People engaging in mindfulness are encouraged to focus on the present moment “non-judgmentally.” A 60 Minutes segment on mindfulness showed Anderson Cooper using the practice by eating in silence very slowly, focusing on every bite. The National Institutes of Health (NIH) has spent $100.2 million on studies testing mindfulness meditation.